Capacity Development is a process for water systems to acquire and maintain adequate technical, managerial and financial (TMF) capacity. TMF capacity enables water systems to have the capability to consistently provide safe drinking water to the public. Capacity development is a fundamental component of the 1996 Safe Drinking Water Act (SDWA) Amendments. The SDWA Amendments provide a framework for states and water systems to work together to protect public health. 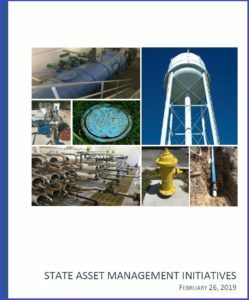 Every state has developed a Capacity Development Program to assist public water systems in building TMF capacity. Any water system can implement capacity development activities to increase their TMF capacity. Small systems can especially benefit from capacity development. EPA is committed to helping small water systems provide safe drinking water through publications, training, and technical and financial assistance. Local officials and consumers play an important role in helping small water systems meet regulatory requirements and protect public health. Besides protecting public health, communities that support their water systems are making long-term investments in sustainable communities and economic well-being. The 1996 SDWA Amendments created a number of specific requirements and programs designed to develop the capacity of small systems. However, it is unique in that it is not a traditional regulatory program. Capacity development is a state effort to help drinking water systems improve their finances, management, infrastructure, and operations so they can provide safe drinking water consistently, reliably, and cost-effectively. More specifically, the capacity development provisions provide an exceptionally flexible framework within which states and water systems can work together to ensure that systems acquire and maintain the technical, financial, and managerial capacity to consistently achieve the health objectives of the 1996 Safe Drinking Water Act.